Keep your home fresh and bright with farm-fresh flowers in your living room, bedroom, kitchen and bathroom. Or make your friends, family and significant other feel the love with a bouquet of premium blooms through your favourite flower delivery in Jakarta, Indonesia. 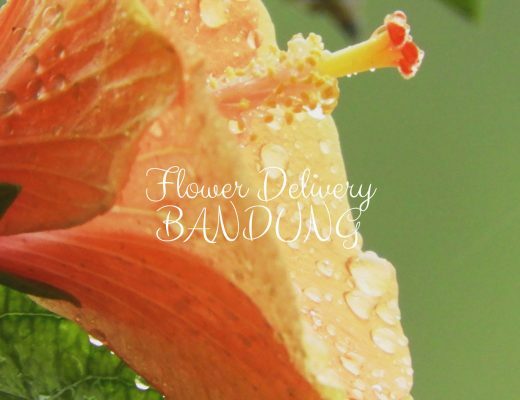 If you don’t have a favourite Indonesia flower shop yet, here are our top picks of dependable Jakarta florists and Indonesia flower delivery to satisfy your floral fix! Big, colourful bouquets are Her Flowers specialty. Their sleek and sophisticated floral boxes are filled with bountiful, rosy blooms without the hefty price tag. They also have rustic, hand bouquets wrapped in burlap and tied with a simple ribbon to allow the beautiful blooms to shine. Send a care package of cheap flowers in gorgeous shades of pink, purple and white or wish someone a happy birthday with pastel-coloured roses and chrysanthemums. All these professionally handcrafted arrangements are available for free same day delivery in Jakarta. DELIVERY FEE Free delivery for purchase more than IDR 600,000. Minimum IDR 500,000 purchase required for delivery. Floe sells both locally sourced and imported flowers, so customers get a great selection of premium blooms for bouquets. They also refresh their collection and floral designs based on the season. The fresh flowers in hat boxes are very elegant and suitable for formal occasions and romantic celebrations, but if you want something more laid-back and informal, their “Beauty for Less” category has a bunch of budget-friendly and affordable options. Jardin Flowers was established in 2014 by the florist Anne Claudia. They have a wide range of bloom bouquets, bloom boxes, bloomoons and bloom jars that are handcrafted carefully and meticulously by their team of professional florists. The boxes are filled with a generous amount of premium roses and peonies. Some of their bloom boxes come with pastries perfect for birthday, Valentine’s Day and even Mother’s Day. Atelier Fleuri is best known for their wedding bouquets and flower arrangements. Check out their Instagram page for a series of romantic and whimsical floral designs that would make any woman swoon. But if you want to order a bouquet or a special flower arrangement to give as a gift for your special someone, you can always call or reach out to them to request for a customised bouquet that’s within your budget. You can also buy their ready-made designs at the Lewis & Carroll in Grand Indonesia. At La Madame Florist, you can “make your own bouquet.” Just choose the flowers, quantity and the wrapping you prefer. They encourage you to book your bouquet for a minimum of 1 week before delivery date so they have enough time to get your flowers of choice and handcraft them according to your specifications. But you can also scroll through their online selection of vase arrangements, bouquets, flower boxes and other floral arrangements. You can also add on chocolates, bears, dolls or balloons for a kid’s birthday or baby shower. Flower arrangements from Twigs and Twine have a rustic or bucolic quality to them. Their mixed bouquet of hydrangea, hyacinths, ranunculus and tulips is lush, colourful and full of different textures especially with the generous filler foliage incorporated into the design. Except where stated, their standard delivery is the next day. Contact them directly for same day flower delivery. If you’re a fan of grand gestures or you want to make a memorable impression, Jakarta Flower Shop’s large bouquets will do the trick. 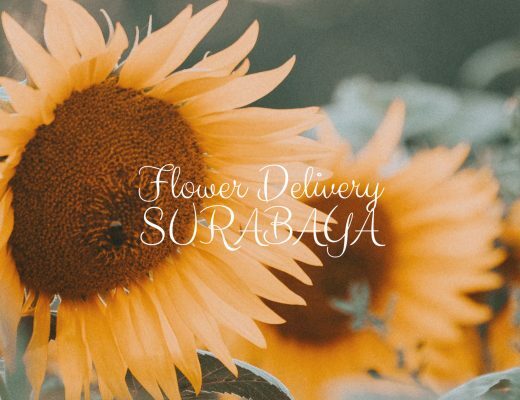 They currently service Jakarta and Tangerang areas with fast delivery for various types of flower arrangements, ranging from graduation bouquets, new born flowers, table flowers, flower stands as well as weddings and bridal flower arrangements. You can also purchase adorable flower and bear arrangements which you can give as gifts for baby showers or as a post-delivery present to congratulate the parents. And if you want something more personalised, simply reach out to them for a customised arrangement. Rosy Posy’s pretty and picture-perfect posies are made for romantic gestures, but they can also be suitable for celebratory occasions like birthdays and graduations. Their Instagram-worthy collection include a range of hand bouquets, flower boxes, pot arrangements and bespoke bouquets. As an added customisation option, you choose your flower wrap from their wrapping collection to really make the flowers pop. For bespoke bouquets, you can choose from three different sizes: mini (IDR 175,000), medium (IDR 300,000) and large (IDR 600,000). The bouquet will be designed based on your recipient’s personality. You will also be asked to provide information such as her/his favourite color, favourite flower as well as their floral dislikes. With the help of their talented florist, you can purchase a one-of-a-kind creation that’s sure to impress your loved one. There’s a flower or hamper for everyone at Sentra Bunga. As a testament to the quality of their work, among their prominent clients are Bulgari, Louis Vuitton, Omega, Tiffany & Co., Singapore Airlines, and many others. The wide array of bouquets and arrangements available for purchase in their e-shop covers all occasions and budgets. If that’s not enough for you, they also accept customised orders so you can personalise your order according to your specifications or your recipient’s preferences. To assure same-day flower delivery, orders must be received before 1pm, Monday – Saturday. Floral arrangements from Blooming Elise Flowers are usually in soft pastel shades. Their mixed bouquets or mixed vase arrangements are full of premium blooms professionally handcrafted by florists from Blooming Elise. 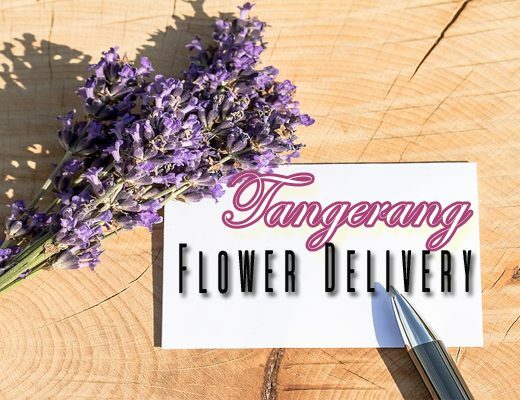 They usually take around 2 working days for flower delivery, so make sure you order in advance to get your order on time. My Rose Pom Pon sells preserved flowers which are different from artificial flowers or dried flowers. Preserved flowers undergo a “freezing” process to retain their form and make them last for years. Their chief designer is Indonesia’s first Certified Japanese Flower Instructor who launched and taught the art of preserved flowers to Indonesia florists and flower enthusiasts since 2010. So if you want to send flowers that would last a long time with minimal upkeep, check out their gallery of designs. The preserved flowers in glass dome would make your recipient feel like a Disney princess. Roses and tulips are obviously popular and almost always in every Jakarta florist catalogue of bouquets and flower arrangements. However, if you want something different and looking for a hardy orchid instead, then Eka Karya has an excellent collection of sophisticated orchids of various species. Indonesia is home to a wide family of orchids, such as Phalaenopsis & Dendrobium genus, which is endemic to the country. Orchids are hardy and they don’t wilt as easily in the tropical climate of Indonesia. Eka Karya grows their own stock of fresh flowers, so you know you’re getting premium and freshly-picked cut flowers in your bouquet.